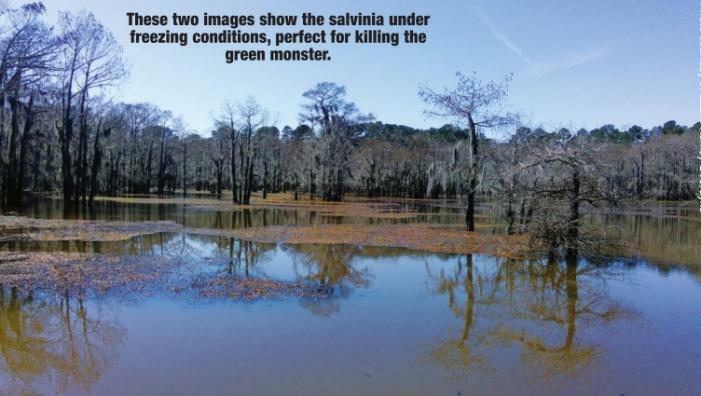 The Forum News The green monster of Caddo Lake is in retreat. Home / Features / Cover Story / The green monster of Caddo Lake is in retreat. The green monster of Caddo Lake is in retreat. Efforts to bring the aggressive Salvinia under control on the scenic waterway, making it inaccessible, have made tremendous progress ... and it shows. 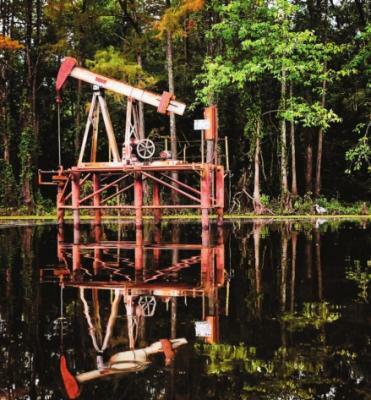 With Spanish moss draping from ages-old cypress trees, and both operational and long-abandoned oil wells rising from its depths, Caddo Lake is one of the most scenic waterways in the country. 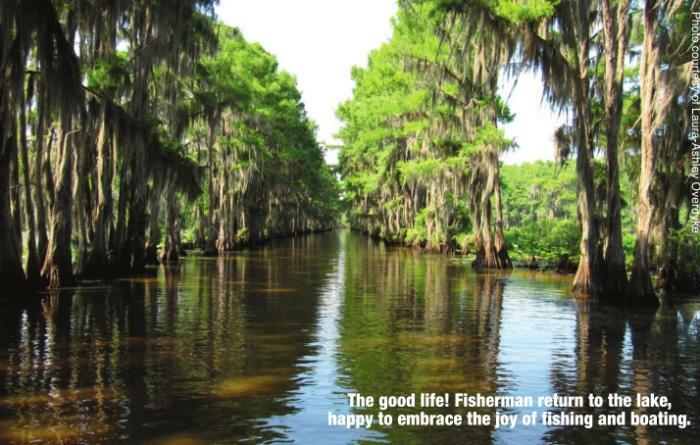 Not to mention its environment makes for some of the best fishing in the South. 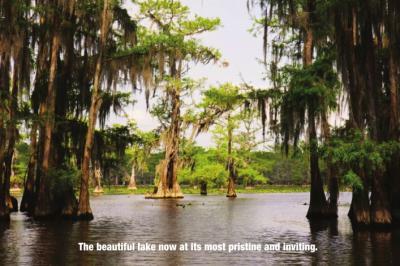 But until recently, the beauty and the bass – in fact, the entire existence of Caddo Lake – were in danger. Salvinia, an aquatic plant (fern) native to Brazil which floats on water. Because of its thickness, too much salvinia can make it difficult – sometimes impossible – for a boat to cut through or a fish to breathe. 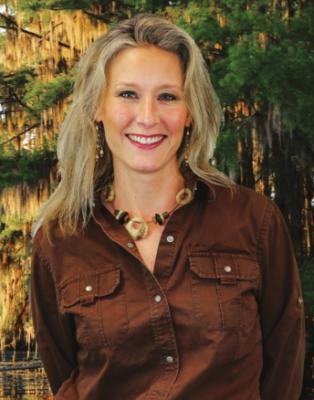 Overdyke is executive director of the Caddo Lake Institute, a non-profit organization which, since 1993, has focused on issues dealing with the lake. “It was really threatening the future of the lake,” she said. Mike Echols has spent many a day on Caddo Lake. A longtime, avid fisherman and co-host of the “Hook’n Up & Track’n Down” radio show, remembers how difficult it was just to get on the water. One of his favorite places to launch was Tucker’s Marina. “It put you right on top of some of the best fishing on the lake,” Echols said. But the salvinia – at its height – made going out of that location impossible. 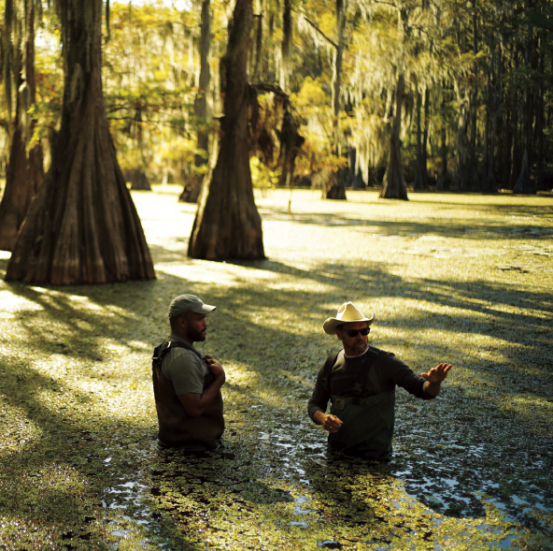 But after 13 years of fighting the salvinia – and often times losing – Caddo Lake is coming back from death’s doorstep. “I would say where we had 60-70 percent of the lake unfishable because of the salvinia, I would say that’s now down to maybe less than 10 percent,” Echols added. That’s right. Weevils. “When you have an invasive species, you go to the place from where it came, and you figure out how it’s managed in its native place – why it doesn’t take over back home,” Overdyke said. So the LSU Ag Center went to Brazil and found these weevils. They only eat salvinia. If there’s no salvinia, they starve to death. Salvinia’s invasion of Caddo Lake likely started at another lake. From that point on, there was no stopping the salvinia’s growth. You could only hope to contain it. But there is more than salvinia for the Caddo Lake Institute to deal with. Caddo Lake was also featured on “CBS News Sunday Morning’s Moment in Nature” segment. While the Caddo Lake Institute is concerned with the overall well-being of the lake, its focus has been on the Texas side. 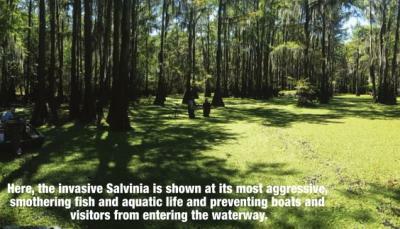 And perhaps, before long, the entire lake will benefit from salvinia-less water. To learn more about the Caddo Lake Institute, you may visit www. caddolakeinstitute.org.